So I woke up in the morning, starving, and hadn’t gone to the grocery store in almost a week. There wasn’t much to put together in the fridge but I pulled it off! I’m definitely going to make this quiche again but I would add a bit more parmesan cheese (because I ran out) and add some mozzarella (which of course I didn’t have at all). All in all, this is a keeper! Full disclosure: I did not make the crust, it was store bought and left over from something else I made earlier in the week. There are some good quality pre-made crusts out there so if you don’t have the time, like a lot of people I know, save yourself some hassle and just buy one. Preheat the oven to 375, prep you vegetables and spray your pie dish on he bottom and sides. In a sauté pan on medium heat, spray the pan and add the red pepper and cook for 2 minutes. Next add the parsley and basil, then the kale and S & P. Cook another 2 minutes or until the kale is wilted. Set aside. Put the pie crust in your baking pan and layer the bottom with cheese. Whisk 8 eggs with S & P and garlic powder. Fold in the sautéed veggie mixture. Add the eggs to the dish. Gently crack the remaining eggs into the dish scattered throughout it. Add a little more salt to the top and place it in the oven to bake. I didn’t pay attention to how log this baked but it was at least 20 minutes. Make sure the middle of the dish is cooked and not loose. Also, the tips of the crust will be golden brown. 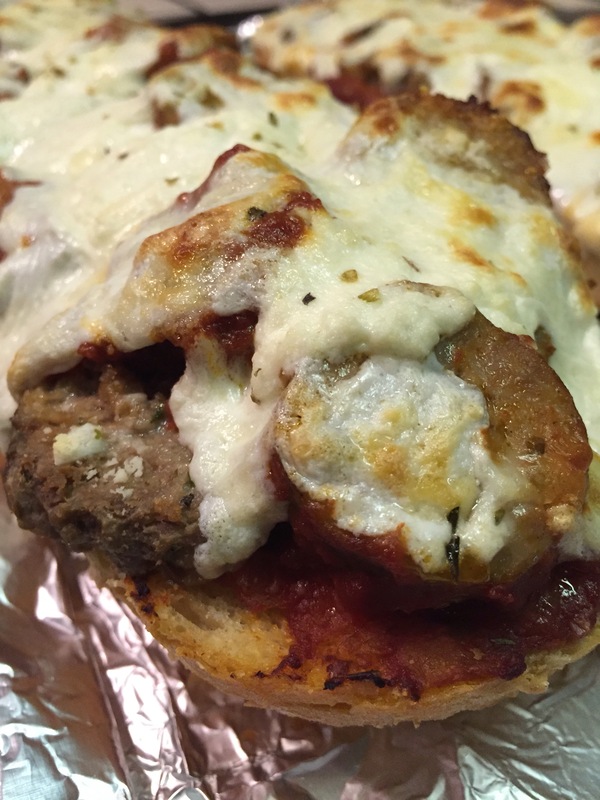 What do you do with day old Italian bread, left over sauce, sausage and meatballs?? Make a pizza out of it!! It’s so easy. spread olive oil over the bread along with garlic powder, oregano, S & P, and parm cheese. Place on a sheet tray and toast in the oven for 5 minutes. 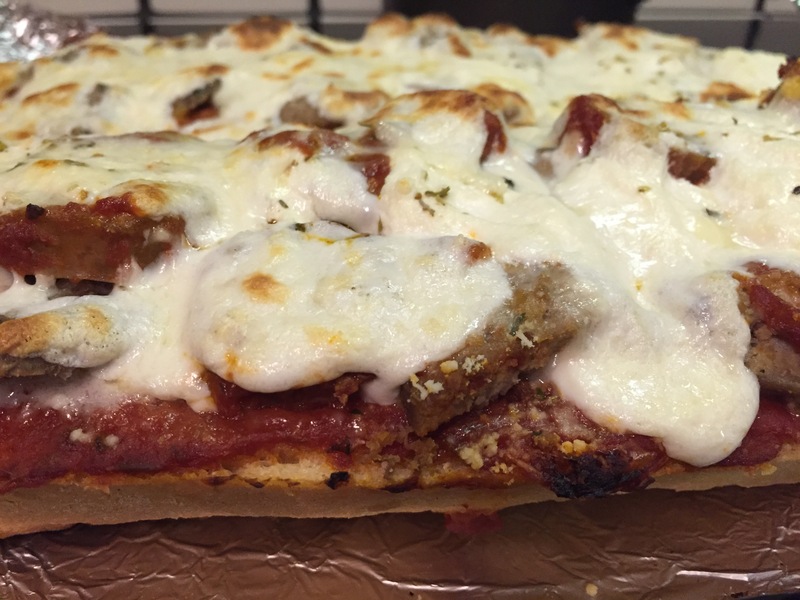 Remove and top with tomato sauce, sausage, and meatballs. Then top with more Parmesan and Mozzarella cheese. Bake for 15 minutes or until cheese is melted and slightly browned.